Triple Crown Valparaiso Baseball and Softball Training Center in Valparaiso, Indiana is fully equipped to be your individual or team baseball and softball practice training and instructional facility. 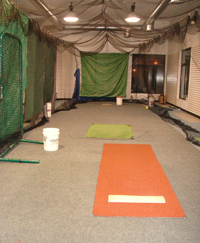 With four indoor batting cages, hitting machines, pitching lanes and pitching mounds, our climate controlled facility is just what you need to hone your baseball and softball skills. 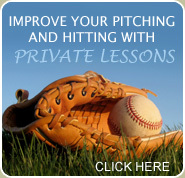 Our private baseball instruction and private softball instruction will help take your game to the next level. With years of experience at a variety of levels, the Triple Crown Valparaiso instructional team can provide the pitching, hitting and catching lessons you need to truly excel at your game. Whatever position you play, whatever skill level you currently play at, our instructors can help you get to the next level! 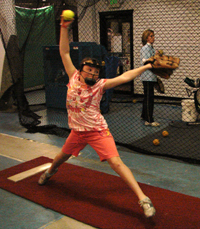 Our personalized pitching lessons, hitting lessons and catching lessons led by our talented instructional team can help you become the star of your team! Please contact us at (219) 462-3927 to learn more or to schedule your next lesson. Effective pricing as of 8/15. No package discounts. Triple Crown team members will recieve 10% discount.